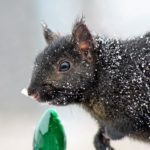 Home / Modern Pest Blog / SQUIRRELS: The Scourge of Holiday Lights? 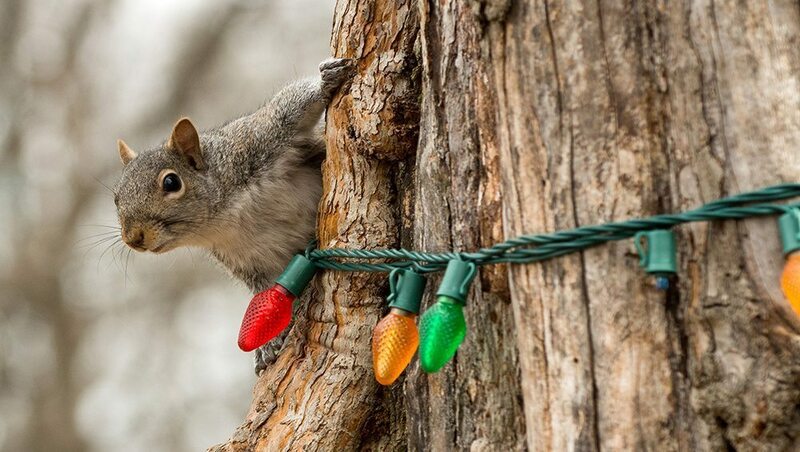 SQUIRRELS: The Scourge of Holiday Lights? I don’t know about you, but to me, one of the biggest frustrations of the holiday season is rigging up the lights outside my home. After hauling the boxes out of the crawlspace in the garage, sifting through the mass of knotted, tangled wires – to then change all the bulbs that don’t seem to work (“one light goes out, they ALL go out” has got to be the worst engineering idea since filling blimps with helium). Then it is time to climb the rickety, worn-out ladder in sub-freezing temperatures, to staple the wires to my house at perilous heights. By then, I’m usually at the limit of human patience. Now you add in the thought of a squirrel chewing through my string of holiday spirit, and I am ready to lose my mind. Got Squirrels? Learn how our knowledgeable licensed Wildlife professionals can help. Call 1-800-323-PEST. BUT WHAT CAN I DO??? Before looking at solutions, let’s try to understand why squirrels chewed my Christmas lights. Rats, for example, chew wires because they appear to be similar to a natural food source to them, (small branches roots, and grasses), but squirrels have a very different menu. The common belief now is that squirrels chew through the wires to get the lights. That’s right. It has been documented on multiple occasions that squirrels see the small light bulbs as a potential food source, and chew through the wires so they can store their tiny glass “nuts” for their future holiday meals. Of course, as soon as they do get around to chomping through a glass light bulb, their error will be realized, but by then it’s much too late for you. By then you’ve already experienced the hair-pulling stress of having to replace and restring your outdoor lights. Or, if the worst occurs, you’ve experienced a fire started by chewed electrical wires. That will ruin your holiday in no time. Spraying anything liquid on anything electrical is just a bad idea. Why invite more opportunity for disaster? Besides, in some cases, smells like this have been known to attract animals. Not really the desired effect. Sure, but it will only delay the chew through of your wires. Squirrels aren’t easily deterred like that and will continue to harvest their little glass nuts anyway. Never a good idea. Using materials to poison, an animal should be the absolute last resort and considered after all other options have been exhausted. Also, placing toxic materials out can very easily have unintended consequences. Birds, raccoons, and all sorts of friendly critters can get into them, and that’s not only dangerously irresponsible, in some cases, it’s also against the law. Leave those kinds of applications to the certified professionals. Easy. Defer to the experts. Call the Wildlife team at Modern Pest Services, and let Modern take the stress and the hassle off your plate. 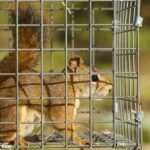 Modern can safely and humanely remove wildlife like squirrels. Our team will release them into remote areas, where they can do what squirrels do without wrecking anyone’s holiday plans. If more serious measures are needed, the Wildlife team has the knowledge, specialized equipment and the ability to handle the issue safely and responsibly. The holidays can be stressful enough without having to worry about the destruction of your decorations, or worse. Let the Pro’s handle it, be safe, and Happy Holidays! Contact the professionals at Modern Pest Services for a FREE Wildlife Inspection today! Or call 1-800-323-PEST.